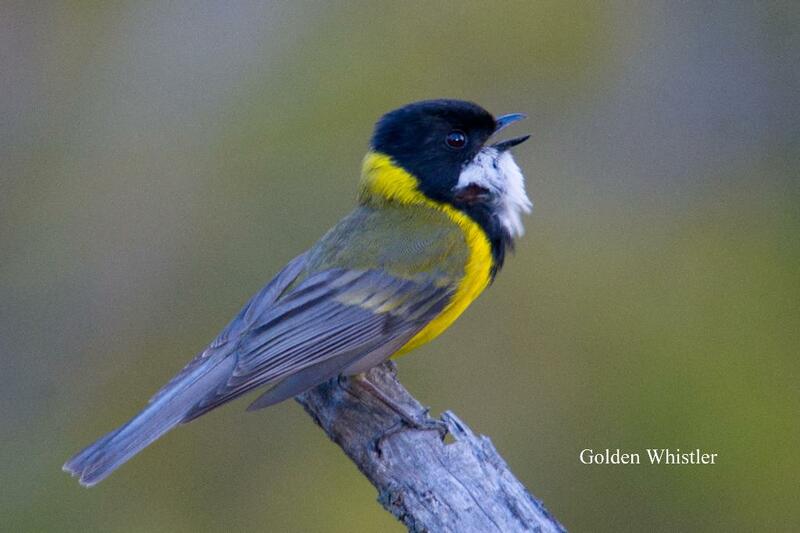 Before you rush off to partake, this feed is strictly for the birds. A recent outing with my son's family to the Peter Murrell Reserve at Kingston, in part to find Forty-spotted Pardalote, ended in a visit to nearby Pierson's Point. We had failed to find any 40spots, and thought that we'd give this area at Tinderbox a look. It was late morning by the time we got there, and I set off round the perimeter of the small reserve, looking in the gums in areas that I have found 40spots in the past. Again I failed, but on rejoining the others found that I had really missed all the action. My son, Matthew, himself a keen birder and photographer, had taken excellent shots of Green Rosellas and Dusky Robins. I hurriedly tried to emulate him, but the best of the day had passed and it was now quite overcast and the children were hankering after the promised lunch at "Maccas". I made a mental note to return. So about a fortnight later, I made an early morning return visit which turned up trumps. The local council is undertaking a "beautification" exercise of this area, which is the grounds of the old gun battery, WWII vintage, which overlooks the Derwent River estuary. My first shots were of members of a group of Dusky Robins, enjoying the spoils from the newly disturbed soil, and utilisin g the newly installed picnic tables as vantage points to spot insects. Also enjoying it were two groups of Superb Fairy-wrens. But there were many more birds feeding on the ground. It was about now the penny dropped, I'm not sure why it took so long. The attraction was the newly sown grass seed. Green and Eastern Rosellas, Yellow-rumped Thornbills, and Tasmanian Native Hen were all feasting on the seed, and their desire to feed made them easier to approach. There is a concrete lookout, no doubt originally the control centre for the guns, now windowless, and a large Blue Gum, in the middle of the reserve, and with the gum in flower was attracting a range of birds. I made my way over to the blockhouse, entered and happened to glance through a 'window' on the far side of the room. By one of the picnic tables some 30 metres away, was what I first thought were small animals, but on closer inspection were a covey of Brown Quail, six in all. They too were enjoying the free feed. Although not uncommon, quail seem to have made something of a recovery in the last 12 months. Until last summer, I had rarely seen quail around my usual haunts for some years, but following good Spring rain in 2009, I have noted them in several local reserves. They were too far away for quality images, but it was fascinating watching them over 30 minutes or more. It was the first time for many years that I've been able to see much more than their tail end after flushing them. They spent most of their time fairly tightly grouped as they fed, and allowed cars to come and go without bothering them unduly. Eventually I must have made one movement too many and alarmed them. They scuttled off keeping closely bunched, heads down, again looking more like a large articulated mammal. I was more than pleased to have such good views of the quail, but there were other 'delights' about. Two Swift Parrots calling from the top of nearby gums were my first of the season, and a calling Shining Bronze-cuckoo, also present in the Peter Murrell, suggest that this species has made an unusually early arrival. Black-headed, Crescent and New Holland Honeyeaters were particularly active, as were both Spotted and (also newly arrived) Striated Pardalotes, but still no 40spots sighted, although with all the action, I only made a somewhat half hearted attempt to find them. Despite not seeing the 40Spots, it was a most enjoyable morning. 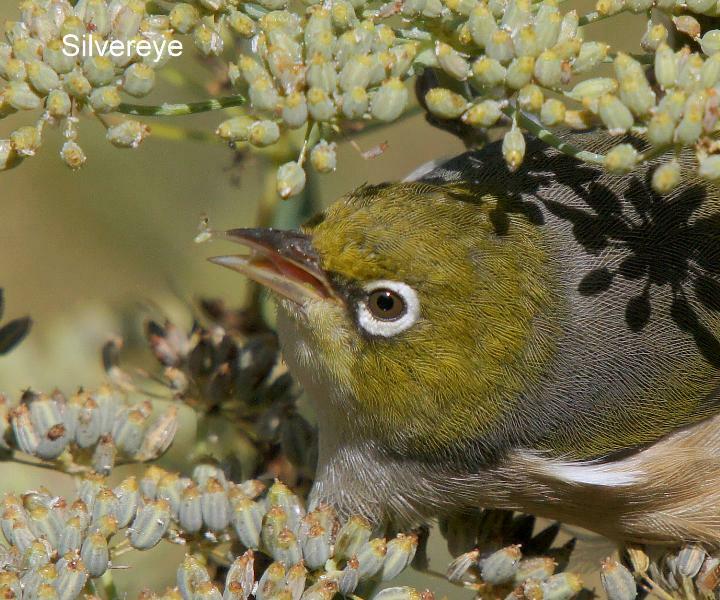 A recent article in Wingspan (Birds Australia's magazine) highlighted the plight of the Forty-spotted Pardalote, a species endemic to Tasmania. 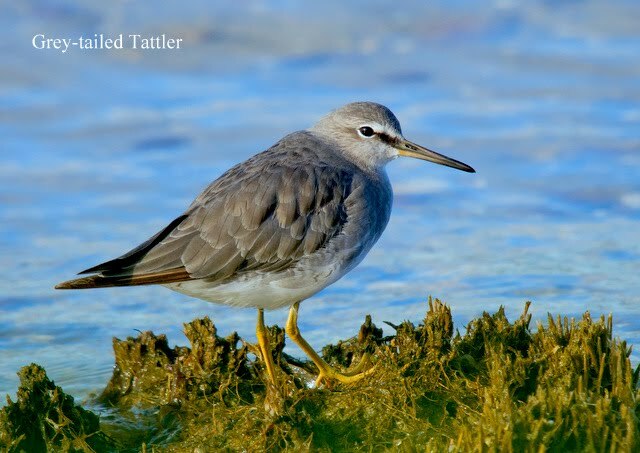 In essence, the article showed that there has been a marked decline in numbers, from an estimated 3,520 birds in 1986-7, to only 1500 or so in the latest survey, conducted in 2009-10. This iconic Tasmanian bird, one of our smallest species, has long been on the endangered list. 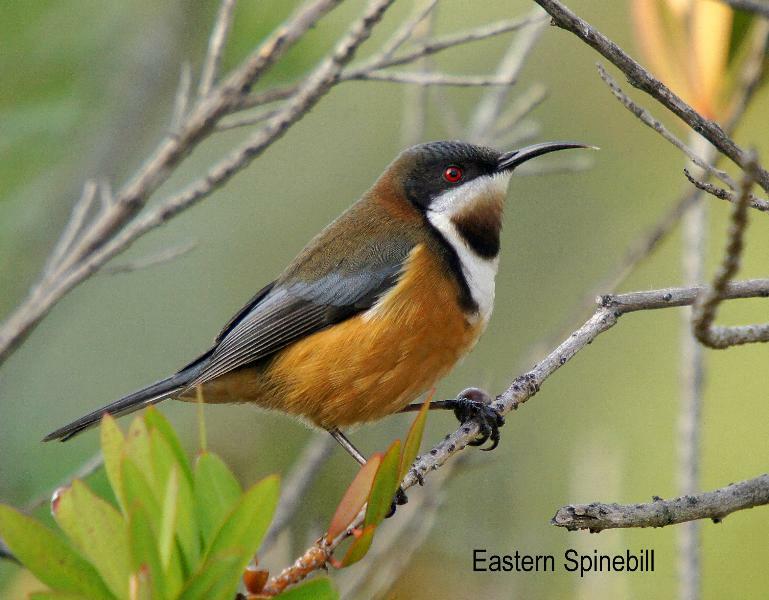 40spots are around 10cm in length and they spend much of their life in the outer canopy of eucalypts, and anyone who has looked for them knows just how difficult they can be to find. Probably never numerous, they're found mainly in White Peppermints Eucalyptus viminalis, known as Manna Gums, a species naturally found along the coasts of south-east Tasmania. Colonies are found mainly on Maria and Bruny Islands and on the Tinderbox Peninsula south of Hobart. The article speculates the reasons for the decline, suggesting climate change, drought and die-back disease in eucalypts. In recent years I and many visiting birders, have looked and found them in the Peter Murrell Reserve at Kingston, south of Hobart. During my visits this last autumn, I have only occasionally seen them there, and always at the same location. To be fair, I haven't made a point of looking for them, and only found them because I heard them calling. But my overall impression is that there are very few about, and this impression is typical of other birders experience. I am not a biologist, but my concern is that we seem to know surprisingly little about these birds. It's well known that a major food source is "manna", the conical scales spun by lerp species on the underside of eucalypt leaves. These sugary scales are known as honeydew, and are also eaten by a range of birds, including Black-headed, Yellow-throated, and Crescent Honeyeaters. These lerps are considered a pest as they skeletonise the leaves, which in turn can have an impact on the wellbeing of the tree. My observations locally suggest that there is a paucity of these insects on eucalypts this winter, so is this the "x factor"? Two winters ago the numbers of lerp 'infested" trees was considerable, and many Striated Pardalotes overwintered rather than migrate to the Mainland as they normally do. Were the numbers of lerps the reason? Obviously the above is just my observations, and only in a small area of the state, but to my mind it does highlight some of the gaps in our understanding of what makes pardalotes 'tick'. A much greater effort needs to be applied to the wellbeing of the 40Spot and soon. The degrading of the Peter Murrell Reserve, with ever more recreational activity and industrial and housing development on the surrounds, suggests that we're not taking this issue seriously. A more proactive approach is called for. NB. The accompanying images were taken at the Peter Murrell Reserve about 2 1/2 years ago. I noted that these birds were regularly coming down to a bush on the side of a hill, and was grateful for a relatively easy chance to photograph them. I surmised they might be feeding nearby young, but they didn't appear to be carrying food and were unfazed by my presence. I moved away to better understand what was going on. They were in fact visiting a nest site situated behind a thick piece of bark near the base of a Manna Gum. Further watching revealed that the visiting birds were mainly juveniles, and that a family of 40spots appeared to be using this as a "funk" hole. I stopped fairly briefly at Lake Dulverton, Oatlands, about 10 days ago, and took the accompanying images. For the past several years this lake has been effectively dry, save for a small section next to the high street, but thanks to good winter rain, it's looking more like its' old self. The view at right was taken from the "far side" looking towards the towns hip. I always start from the highway side, looking first at the dammed area which during the last decade has held the only water of any moment for wildfowl. Here were several Black Swan, some with cygnets ranging from near flying to still covered in down. It also appeared probable that Eurasian Coot had bred here too, among the dense floating vegetation, as there were several juvenile coot, one pictured below. I'd heard rep orts of Hardheads at the lake, and this is where they often hangout, but the combination of looking towards the early morning sun and the thick vegetation made for difficult viewing conditions. To get a better view I walked along the top of the grassed dam, but apart from getting several shots of coot, swan and a couple of Purple Swamphens, I didn't have any better luck, although walking back I spotted a roost of several Little Pied Cormorants in the top of a waterside fir. I drove round to the camper van parking area and noted as I approached, a few duck and coot on the foreshore and drove closer to investigate. A driveby found a few duck including 2 Australian Shelduck, a pair of Australasian Shoveler, several coot and a few Chestnut Teal. Realising that I had no hope of approaching them on foot without flushing them, I drove along the lake edge and 'shot' them out of the window (accompanying images). Feeling that I'd done my photogr aphy "thing", I set about getting an appreciation of the bird life. There were several hundred coot, numerous Black Duck, Chestnut Teal, several 'flotillas' of Hoary-headed Grebe, scores of Black Swan, a scattering of Australasian Shoveler and Wood Duck, but still no sign of Harhead or Great Crested Grebe. Lake Dulverton was once the home of Great Cresteds in Tasmania, and the only site that they regularly bred at. When the main lake dried they bred in the small dammed area that I have previously mentioned, but although I know they nested and laid eggs, I don't believe they ever successfully raised any young. It was here that on one memorable morning I saw 6 Australsian Bitterns on the shoreline, most probably refugees from other drying and dried out lakes. A species that is now rarely seen in this state. I drove on round the lake to the headland opposite the island. This spot gives a good view of the eastern end of the lake, and has been the best site to see the great cresteds from and appears the preferred area for Blue-billed Ducks too.Here were many more duck, swans and coot, as well as several White-faced Herons chasing grasshoppers along the top of the second dam. I walked out along this fairly recently built dam, more in hope than expectation, and after much searching drew a blank on the grebes. As I reached the far side a stiffening breeze got up and I decided to call it quits. It also seemed to have some effect on the ducks too, as a procession of duck, mainly pairs of Blacks, flew over towards the eastern section. A small flock of duck showing white in the wings, and obviously not Blacks, flew rapidly towards me and I took a few shots as they passed--"my' Hardheads! About a dozen off them, alighting about 200 metres away, they were quickly 'swallowed up' in the floating vegetation. I drove off feeling somewhat satisfied. If you're in this neck of the woods, it's also worth having a look at the Mud Walls dam. It's situated on the Mud Walls road about 3 kilometres from the junction of the Midland Highway and the "Richmond road", B31. It's easy viewing from the roadside and if you don't wish to panic the waterfowl, you'd be advised to stay in your vehicle. There were several hundred duck on the water and in the surrounding paddocks as I returned from Oatlands. They included 300 plus Australian Shelduck, numerous Black Duck and Chestnut Teal, 40 odd Australasian Shoveler, around 60 Wood Duck and 2 Grey Teal. This is one of the few sites that I have regularly seen Grey Teal. Both sites are worth a look. Now looking decidedly portly, and having shed their drab greys, most of the local Red-necked Stint are preparing for their annual, epic journey. These small waders will shortly be winging their way back to their breeding grounds in north-east Siberia, several thousand kilometres away, stopping occasionally to top up their fat reserves. Weighing less than 30 grams when they arrived in our spring, by now most will have put on as much as 15 grams for this journey. 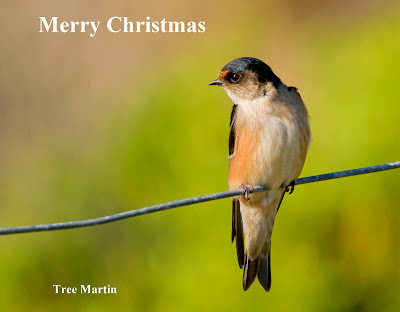 Only the juvenile birds, born last northern summer, will overwinter here in Tasmania, and in other parts of Australia. 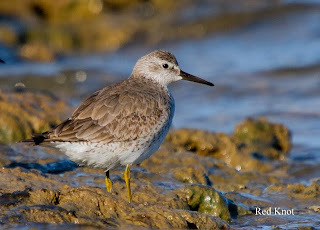 Most of the stint that I observed a few days ago, both at Lauderdale, where I took the accompanying images, and along the South Arm Neck, were showing variable degrees of breeding plumage, but none had yet attained their full rich colouring. 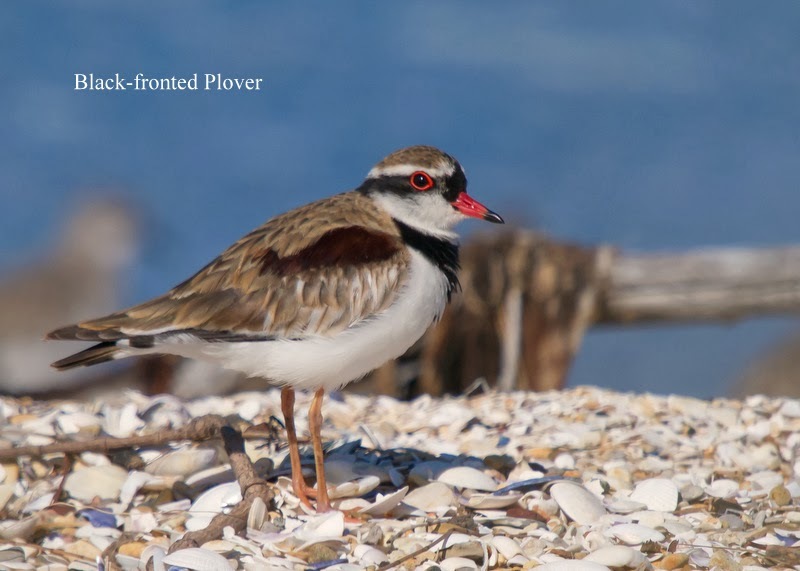 The flock at Lauderdale numbered around 150 stint, together with a dozen or more Double-banded Plover, 30 plus Red-capped Plover and a solitary Red Knot. The stint numbers being the highest I've noted at this venue this summer. South Arm Neck had many more, around 400, but I also noted a distant flock in flight, out of West Bay, that had perhaps as many again. Ralph's Bay at Lauderdale also turned on another of those feeding frenzies common at this time of year. Large numbers of Silver Gulls, a few Crested Terns and over 40 Black-fronted Cormorants were chasing some unseen prey, probably small fish, all over the bay, even to the shallows alongside the road. 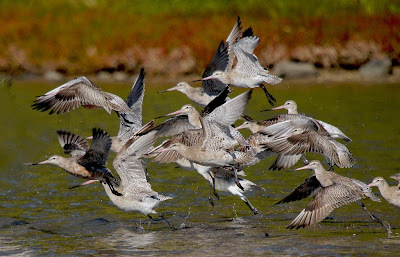 The sheer exuberance and persistence of the birds during these events, makes exciting viewing. Although I'm out and about birding more than most, at least on the local scene, I rarely see anything other than the expected, and this one so very nearly 'got away'. 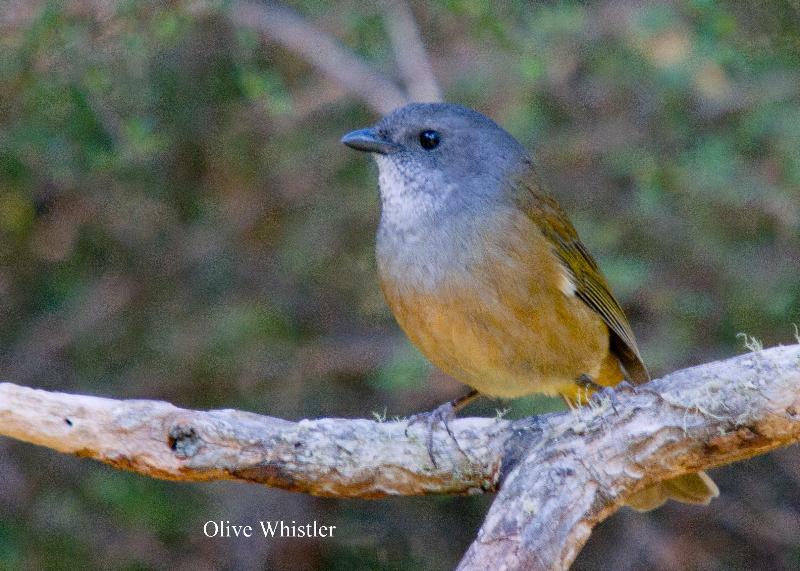 I visited the Redgate section of the Meehan Range at Cambridge last Tuesday, with high expectations of getting a few mo re shots of the Satin Flycatchers or Blue-winged Parrots. Last week I had counted a group of no less than eleven 'Satins' at one point, mostly juveniles and quite the largest number I have ever seen at one time. But the weather intervened, and although it didn't rain, the light conditions became very poor, at least from a photographic standpoint. I had even wound the camera up to ISO 800, something I've not bothered doing previously, because if the light's that bad, you're probably going to battle to get any worthwhile images. I was about to leave, when I noticed a movement on a nearby bank. 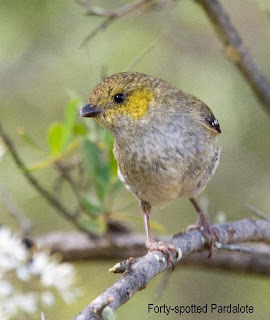 Obviously a bird and creeping towards an area of thick scrub. Expecting it to be a Bronzewing pigeon as I had heard what I assumed was that species calling from nearby, but just as it disappeared I ID it as a Quail, a species I have yet to photograph, and rarely see these days. I waited for it to emerge from 'my side' of the scrub, but to no avail. Some minutes later I spotted it again slowly moving across a rise about 30 metres away. So with little enthusiasm or expectation, and with great difficulty in focusing on this very cryptic bird in the gloom, I took several shots. Before I had time to use the binoculars, it had crept off. An hour or so later and back home, I scanned the few images that I had taken that morning, and surprise, surprise! As you can see from the accompanying image, it turned out to be a Painted Button-quail. Decidedly uncommon these days, or perhaps I should say, surprisingly rarely recorded, and only the third time I've seen this species in Tasmania. Reading up on them, I see that they too have an 'oom oom' call, similar to the bronzewing's, something to remember. Not the best image, it's highly enlarged, but it did make my morning. 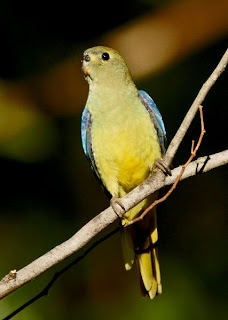 Judging from the amount of correspondence I have received, it looks as if the past breeding season has been particularly successful for the Blue-winged Parrot, at least in Tasmania's South-East. These parrots disperse to suitable grasslands post breeding, and it's then that numbers of them are first noticed. 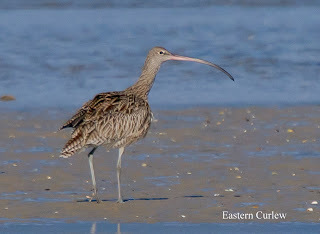 My first encounter this year was at Mortimer Bay, Sandford, in small parties of 3 to 5, most probably family groups, back in early January, an earlier date than usual. But I've had reports from as far South as Coningham, also from Kingston, Cambridge, Risdon Brook Park and the Coal River valley. Most were seen in grasslands, as you might expect, although I've seen several groups in the wooded areas of the Meehan Range. I suspect that the good Winter and Spring rains, the highest rainfall for many years, was the main driver. It produced abundant grass, the seeds, according to the literature, being a major food source. The partly digested seeds are regurgitated to feed the nestlings, and also the female during incubation. From personal experience, for much of the time while they're nesting, you're much more likely to hear, rather than see them. Their "tinkling" call can often be heard as they fly high overhead, to and from the nest site. Both the accompanying photographs were taken in the Meehan Range in the last few days. The upper shot, of a female I believe, was in a flock of 7 that came down to drink. 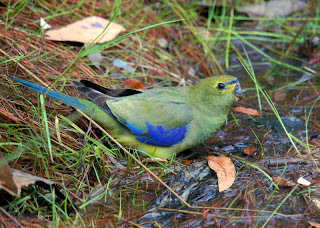 After drinking, they flew to the shallow end of the pool to wash where they were quickly joined by several Green Rosellas, a not infrequent event. They seem to form a sort of "mutual defence pact", the Bluewings being very alert to anything unusual. The lower image is of a juvenile bird that appeared on its lonesome, stayed briefly, obviously didn't like the look of me, and flew off. This small parrot, (it's about the size of a domestic budgerigar), is one of my favourites and some years ago now, I was fortunate enough to be involved in a project on this species. 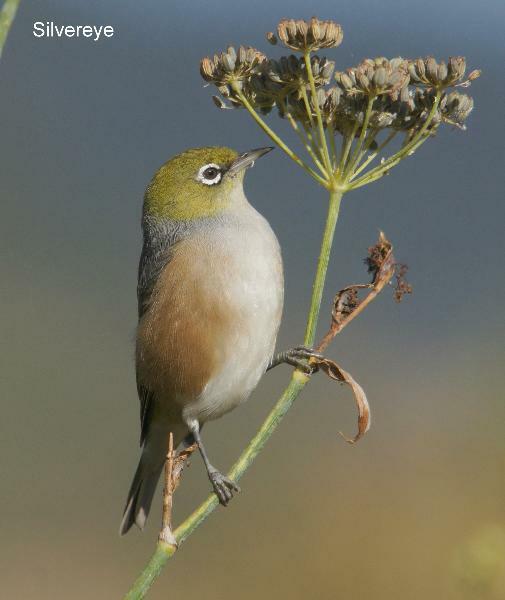 The project included a visit to the 'Woolnorth' property in the far North West corner of Tasmania, in Autumn, where they gather prior to migrating to the Australian Mainland. Despite the horrendously wet conditions we encountered, the sight of flocks of 3 or 4 hundred Bluewings wheeling en masse, often being harried by Australian Hobbys, both great aerialists, is one of those memories that I treasure.